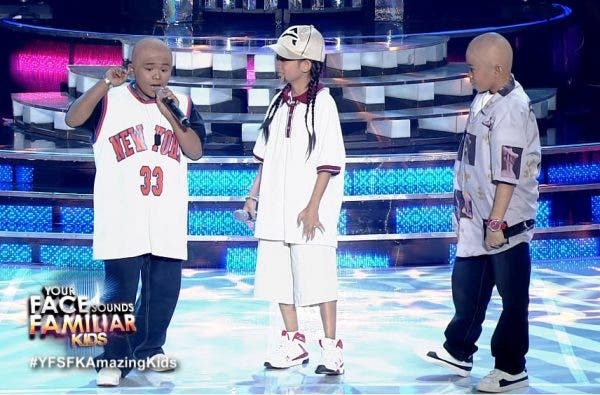 “Your Face Sounds Familiar Kids” ruled weekend programming with national TV ratings of 31.6% last Saturday (May 19) and 34.6% last Sunday (May 20) according to Kantar Media. Meanwhile, “MMK” touched viewers’ hearts with a national TV rating of 26.9% last Saturday (May 19), compared to “Magpakailanman” (17.7%). Elisse Joson and BoybandPH’s “Wansapanataym” team-up instantly captivated viewers as the show recorded 26.2% versus “Daig Kayo ng Lola Ko” (12.8%). 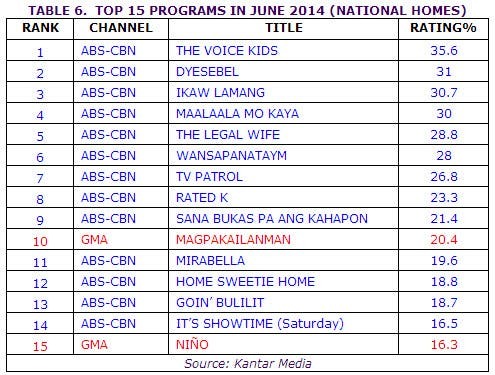 “FPJ’s Ang Probinsyano” won its timeslot last Thursday (May 17) with 41.8%, beating “The Cure” (16.2%). “Bagani” ended the week strongly with 31.1%, while “Kambal Karibal” only got 18%.